Admit it. A causal browse of the web invariably begins with a rueful mission of self discovery. “Does my cat secretly want to eat me?”, “Which member of Taylor Swift’s squad would be my BFF?”, “What does my Subway sandwich say about me?”. Many of mankind’s most profound questions can be addressed through the questionably accurate (and always trending) power of the quiz. The draw of discovering something new about oneself - from which member of 1D you are destined marry to which "Mamma Mia" song you are based on your zodiac sign - is incredibly powerful and, up until now, has been relatively untapped by online retailers. Nonetheless, as retailers strive to learn more about their customers and offer more personalised shopping experiences, the humble quiz is transforming from a frivolous procrastination exercise into a serious customer intelligence tool. This post will explore the massive opportunities they present, complete with some great examples from brand’s getting them right (just for you). No, BuzzFeed didn’t put the 'zz's in quizzes, but since its launch in 2006 - the digital landscape has changed forever - with its rich content mix of cats, GIFs and the all important pictorial question helping to achieve five billion content views a month (according to its CEO, Jonah Peretti). The value of the quiz extends far beyond their answers: the eight most popular quizzes of 2014 were shared a staggering 36 million times. According to Bloombox, Zenni Optical’s ‘You’ve Been Framed’ quiz is the “crown jewel” of success cases. The simple quiz, which matches users with their perfect glass frames, has been taken over 415,000 times, generating over 350,000 lead impressions (and driving sales of more than $1 million since figures were last recorded in early 2015). Pure traffic strategies work best for sites that want eyeballs on-site. If you’re a new online store, for example, getting people on-site and discovering your brand might be your main goal. Gearing quizzes towards controversial topics with humorous results will encourage shares, and ultimately, impressions. Narcissism is fashionable. Play to the natural human condition of vanity and craft quizzes to satisfy people's perpetual hunt for self discovery by delivering personal insights (“What fashion tribe do you belong to?”) to ensure social shares and high levels of engagement. Make sure your quiz delivers a clear and emboldened final answer to prompt an emotional connection alongside strong social sharing buttons to get your content viral. Be funny. People love sharing 'hilarious' insights about themselves (it seems less inglorious that way, right?). “Targeting specific niches, fandoms and identities is very important,” according to BuzzFeed managing editorial director Summer Anne Burton. Tap into trending topics, themes and nostalgia to evoke emotional reactions and spark social sharing. Another way quizzes can be employed to drive ecommerce success is to ignite a buzz around a new product release or update. A great example of this is Mulberry’s mobile-enabled ‘Carascope’ quiz, released to coincide with the launch of their collaborative with omnipresent model Cara Delevingne’s new bag range. The quiz played on women’s “multiple identities” to find the bag that “fits people's individual needs”, combining the power of mobile, gaming and our love of interactivity. Designed by Wednesday, the interactive game was created to introduce the bags to “the captive Mulberry and Cara Delevingne” audience. The animation could be shared to a user’s social media channels, and a link is provided to drive consumers to the Mulberry website (and onto the buy button). Naturally, the quiz achieved multiple ends: driving engagement with the brand and Cara Delevingne's social media following, and ultimately, driving conversions. Online retailing is about being everywhere, always. 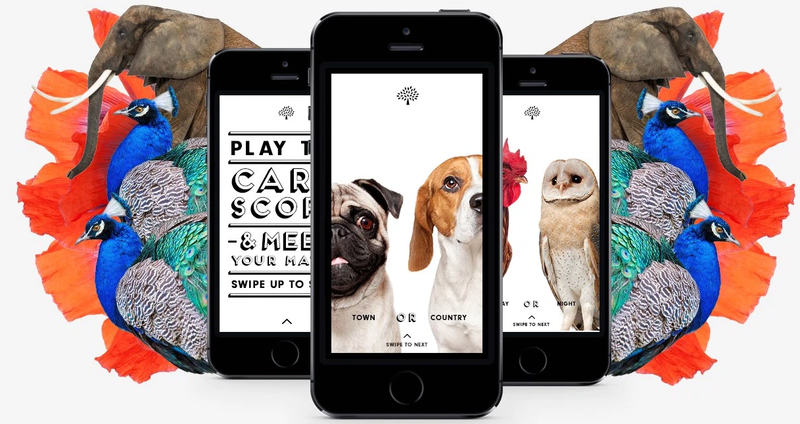 Mulberry’s app-come-game is an excellent example of driving users onto multiple channels - want to take the quiz? Download our app first. Quizzes work well on mobile because they’re easy to navigate and fun, encouraging people to get lost in quiz holes. Developers must optimise for desktop AND mobile to reinforce such behaviour. Establish your company’s most important value. Decide what’s important to your brand and base the quiz around that. New product range? Driving traffic to underperforming items? Getting eyeballs on your new shiny site? Always start with the end goal in sight. Locating a lead collection form at the end of a quiz is cheeky, but an extremely effective way of gleaning new prospects. Imagine a defiantly stubborn Dorothy reaching the end of the yellow brick road and turning back because the wizard wanted her Gmail? On average, quizzes receive a 50% opt-in rate. Half of all people who finish a quiz will enter an email address. Enough said? The success of Z Gallerie's ‘Style Personality’ quiz has been well-documented online, for its seamless ability to collect leads and deliver value in exchange. The quiz drives 1,000 leads per day, according to Monster, highlighting the enormous opportunity to collect information and improve targeting. 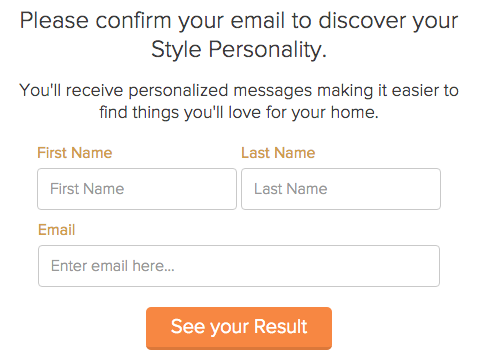 The homeware brand uses the lead to immediately deliver a personalised message based on preference data to inboxes. The result: a data-driven sales opportunity, upon which all future marketing message can be centred on. Z Gallerie’s quiz-based awesomeness nicely leads us onto our next topic: DRIVING SALES. Add value beyond the quiz. Look at Z Gallerie, for example, who promise to deliver personalised messages as a reward for exchanging information that will ensure users stay engaged with your content because...it's relevant to them. Immediately redirect quizzers back to results, or risk WAR. Keeping results away from the user or hidden behind too many walls will encourage disconnection and disillusionment. Keep it streamlined and don't ask for too many details. Ask for name, email and basic demographics, otherwise users will see through your collection form and skip the submit button. Ecommerce is about sales. Sales is about money. Marketing is about making more money: quizzes can help this. Topshop’s Style Quiz is a great example of using quizzes to glean customer preference data, which can be used to target marketing based on relevance (relevance is king etc). The brand's (lengthy) quiz brings the virtues of an in-store personal shopper to your screen. It collects style personality, body dimensions, 'celebrity style crushes’ - delivering products based on your answers. I got The Tomboy Girl (perhaps my most masculine evaluation ever) with the retailer targeting items based on my “personality”. 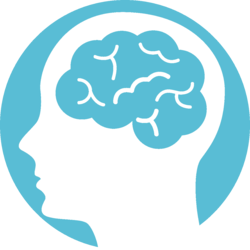 If you sell a variety of products in your ecommerce store, you can use a personality quiz to help visitors find the product that matches their interests, then include a link to buy that product with a discount code, for example, to encourage that magical sale. Divide answers into different personalities that relate to groups of items in your store. Segment feedback into groups and target communications based on that. People love to be inspired. 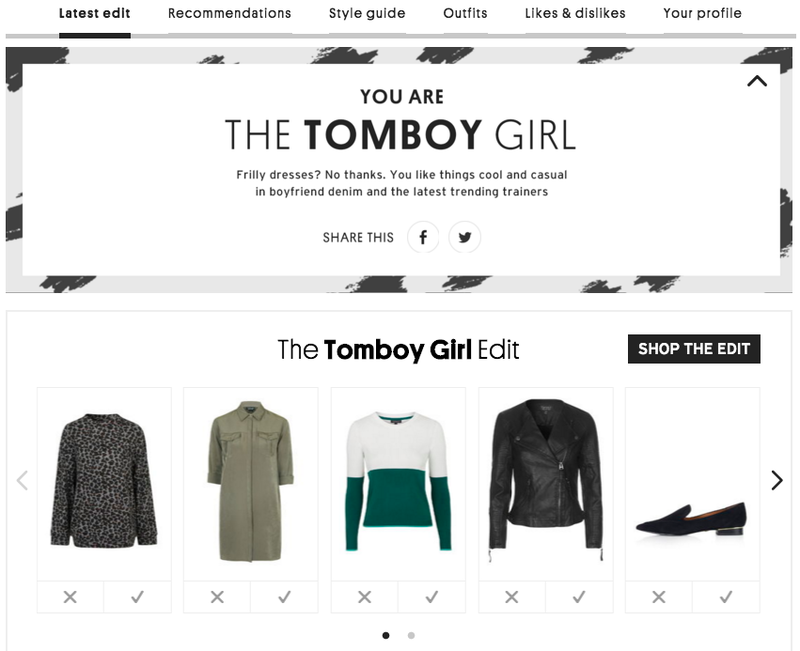 Topshop delivers a great wardrobe based on preference data gleaned via the quiz, presenting items in a catalogue style to make their product offering more shoppable and relevant to individual users. Preference data gleaned during the quiz process doesn’t have to end at a single follow-up email. You know more about your customer now and can continue sending relevant messages to them, throughout their customer lifetime cycle. When driving online sales is core to a brand’s marketing objective, you’ve got to be creative when it comes to considering content that can generate real revenue. Quizzes are an amazing way to breathe fun, life and interactivity into the marketing mix and can (obviously) build leads and drive sales. Consumers need quick, short, snackable experiences that give us answers instantly. The secret? Tap into popular, trending topics that tickle our insatiable appetite for vanity and use the personality quiz logic to provide a more tailored experience to customers based on their interests.